Our regionally inspired, rustic Italian food comes from recipes we've learned in homes throughout Italy. You're not likely to find many of our dishes elsewhere. Our cooking is primarily governed by the seasons. The menu changes from week to week —when the season for something starts to taper off, it's replaced with something better. We search out the best ingredients we can locate, preferring local and organic producers when practical. We even have our own sources here and in Europe for several key ingredients. Beginning with antipasti that include artisanal salumi, house-flavored olives, and our freshly made breadsticks, you’ll enjoy Italian dining free of clichés and punctuated by savory, richly flavored dishes. To accompany our food, we’ve assembled a very large list of affordable, often little-known, but always high-quality Italian wines at very reasonable prices. Many are available in quartino carafes, so you can enjoy several at a single meal. What’s not to like about this Andersonville trattoria? It’s cute, it’s bustling, service is helpful, and the food borders between good and great. 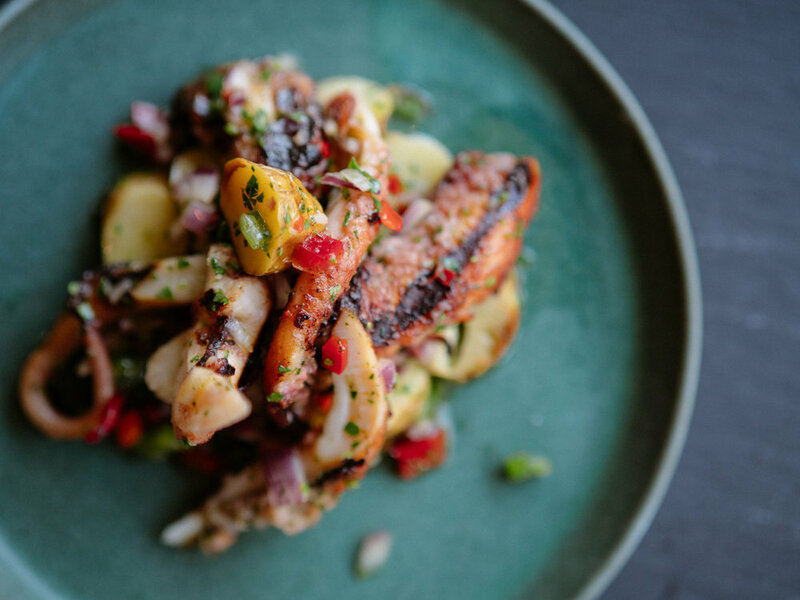 Year-round don’t-miss items include the tender, lemon-kissed grilled octopus; the salumi plate; and the value-packed antipasti platter. Like any good trattoria, Anteprima rotates much of the menu according to season, but housemade pastas prove as perfect with rabbit ragù in cold weather as they do with bright fava beans and ricotta in spring. In warm weather, seek out the secluded back patio. Anteprima's pastas break free of the ordinary. Tagliatelle with duck ragù and with prosciutto ragù are both tiptop. Or you might get hooked on pasta packets stuffed with herb ricotta and chard in asparagus butter sauce, only to switch your allegiance on your next visit to tender ravioli spinach pasta filled with porcini and other mushrooms in mushroom cream with pine nuts. Look for menu selections like grilled octopus, wood-grilled whole fish, orecchiette with lamb sausage and tagliatelle with prosciutto ragù. The wine list also stays true to the region: It's 100-percent Italian.